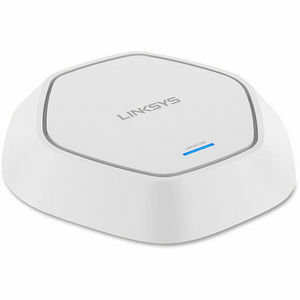 Dual-band access point features Wi-Fi technology (802.11ac) to provide data rates up to AC1750 Mbps. Single-point control simplifies administration and management efforts to reduce the costs and complexity of managing multiple wireless access points. Captive portal supports secure and customized guest Wi-Fi access to control wireless access in your office. Three-in-one access point, WDS and workgroup bridge extend your wired and wireless range. Access point is integrated with 802.3at power over Ethernet-plus capability to eliminate external adapters and facilitate optimal placement. Protect and secure your wireless network with business-class security features including Wi-Fi Protected Access (WPA/WPA2), 802.1X Supplicant, MAC-based ACL, Rogue AP Detection, SSID-to-VLAN Mapping and more.